Complicated systems and processes can be explained more easily with a visual aid, such as this science concept map example showing the earth as a system. Starting in the middle, each branch shows another process affecting the composition and structure of the earth, such as plate tectonics and deep time. 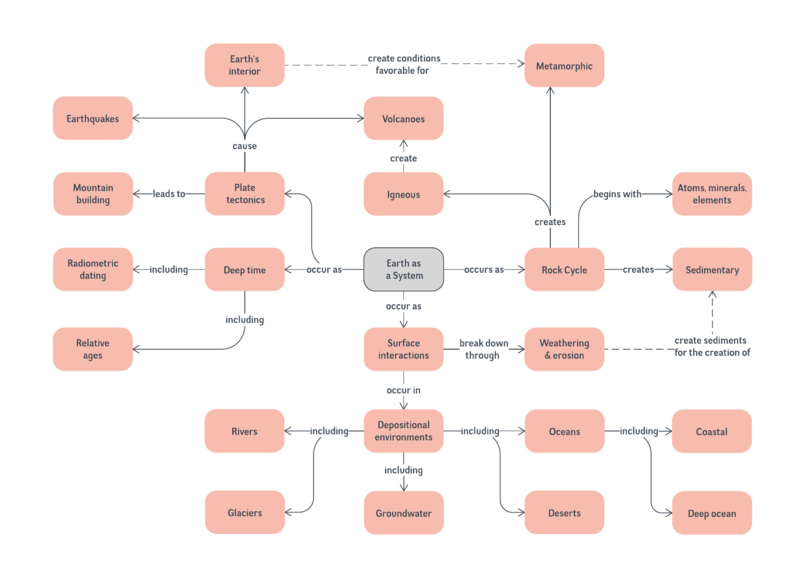 To download or adapt this science concept map template to your own needs, start by registering for a free Lucidchart account. Then simply drag shapes and replace text until you’re satisfied.